Toyota and Tesla Motors confirmed today that their jointly-developed RAV4 electric vehicle will be built at Toyota Motor Manufacturing Canada in Woodstock, Ontario beginning in 2012. As previously announced, Toyota will pay Tesla approximately $100 million to supply the electric powertrain, which includes the battery, motor, gear box and power electronics for the RAV4 EV. Tesla will build the electric powertrains at its production facility in Palo Alto, California and then ship them to TMMC for final assembly into the vehicle. 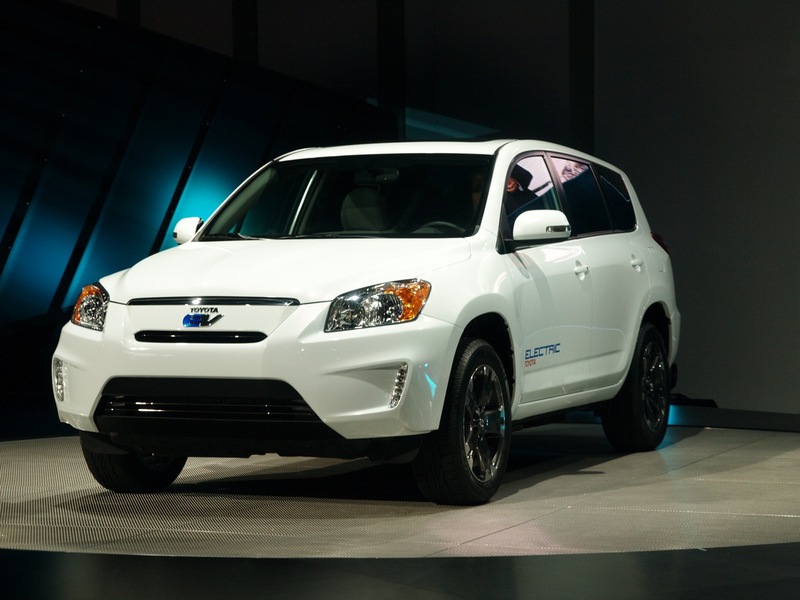 The RAV4 EV will be sold at U.S. Toyota dealers through Toyota Motor Sales, U.S.A., Inc. (TMS). Details including pricing, volume and regional distribution will be determined and announced at a later time. In July of last year, Tesla and Toyota Engineering and Manufacturing, America (TEMA) collaborated to convert 32 conventional gas-engine RAV4 compact SUVs into fully functional RAV4 EV prototypes.